Wang Ning is one of China’s leading scholars in literary and cultural studies. He got his Ph.D at Peking University in 1989 and became Associate Professor in 1991 and then Full Professor in 1992 there. He did his postdoctoral research in the University of Utrecht in the academic year of 1990-1991. Since 2000, he has been teaching at Tsinghua University where he functioned as Vice Chair of the Academic Committee for the Humanities and Social Sciences and Chair of the Academic Committee of the Foreign Languages and Literature Department. He founded the Ph. D program in English language and literature at Tsinghua in 2003 and then the comprehensive graduate program in foreign languages and literatures there in 2010. He also founded the Center for Comparative Literature and Cultural Studies at Tsinghua University in 2001 and has been its director ever since. He was a Ford Distinguished Seminar Visiting Professor at Yale University (2001), a Northrop Frye Fellow at the University of Toronto (1993) and Ibsen Fellow at the University of Oslo (1996), a distinguished visiting professor at the University of Illinois, Urbana-Champaign (2005), a distinguished visiting fellow at Washington University in St. Louis (2007), a visiting fellow at the University of Cambridge (2008) a distinguished short-time visiting fellow at the National Humanities Center, USA (2011, 2012, 2013, 2014, 2015). 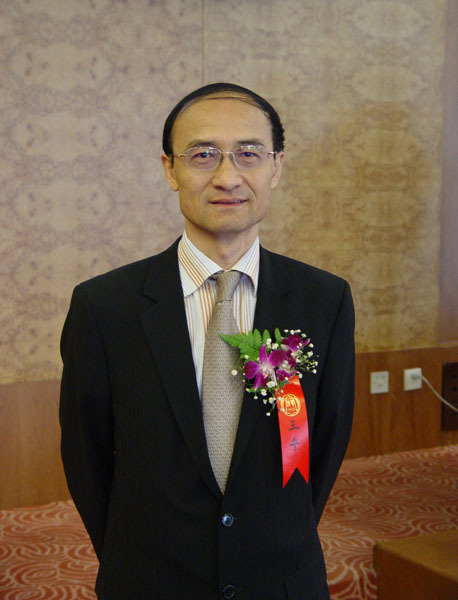 He is also Secretary-General of the International Association for Literary Theory and Criticism (since 2000), and Vice President of Chinese Association for Sino-Foreign Literary and Art Theory (since 2003), Vice President of Chinese Comparative Literature Association (since 2005), and Vice President of the Chinese Association for Literary and Art Theory (since 2008). He is currently Co-Editor of the international prestigious journal Perspectives: Studies in Translatolgoy and a member of the editorial or advisory board for such international prestigious journals like Neohelicon, Journal of Contemporary China, and Ibsen Studies. Professor Wang has lectured extensively at over 70 international universities in Asia, North America, Africa, Australia and Europe since 1990. He is currently Distinguished Visiting Professor of Chinese and Comparative Literature at the University of Illinois, Urbana-Champaign. 1. “Constructing Postmodernism: The Chinese Case and Its Different Versions”, Canadian Review of Comparative Literature, 20.1/2(1993): 49 -61. 2. “Confronting Western Influence: Rethinking Chinese Literature of the New Period”, New Literary History, 24. 4(1993): 905-926. 3. “Toward a New Framework of Comparative Literature”, Canadian Review of Comparative Literature, 23. 1(1996): 91-100. 4. “Toward a Translation Study in the Context of Chinese-Western Comparative Culture Studies”, Perspectives: Studies in Translatology, Vol. 4(1996): 43-52. 5. “The Mapping of Chinese Postmodernity”, boundary 2, 24.3(1997): 19-40. 6. “Orientalism versus Occidentalism?”, New Literary History, 28.1 (1997), 57-67. 7. “Postcolonial Theory and the ‘Decolonization’ of Chinese Culture”, ARIEL, 28. 4 (1997), 33-47; Linked Histories: Postcolonial Studies in a Globalized World, Pamela McCullum and Wendy Faith eds., Calgary: University of Calgary Press, 2005, 231-242. 8. “From Psychoanalysis to Schizoanalysis: Reflections on Current Chinese Literary Cultures”, Social Semiotics, 7.3 (1997): 323-334. 9. “‘Decolonizing’ Chinese Culture in a Post-Colonial Era?”, Canadian Review of Comparative Literature, 24. 4 (1997), 999-1006. 10. “Postmodernity, Postcoloniality and Globalization: A Chinese Perspective”, Social Semiotics, 10. 2 (2000): 221-233. 11. “The Popularization of English and the ‘Decolonization’ of Chinese Critical Discourse”, ARIEL, 31. 1/2 (2000): 412-424. 12. “Post-New Period: A Metamorphosed Version of Chinese Postmodernity”, Canadian Review of Comparative Literature 27.3(2000): 480-497. 13. “Confronting Globalization: Cultural Studies versus Comparative Literature Studies?”, Neohelicon, XXXVIII/1(2001): 55-66. 14. “Translation as Cultural ‘(De)Colonization’”, Perspectives: Studies in Translatology, Vol. 10. 4 (2002): 283-92. 15. “Globalization and Culture: the Chinese Cultural and Intellectual Strategy”, Neohelicon, XXIX/2 (2002): 101-114. 16. “Translation Studies: Interdisciplinary Approaches”, Perspectives: Studies in Translatology, Vol. 11.1(2003): 7-10. 17. “Cultural Studies in China: Towards Closing the Gap between Elite Culture and Popular Culture,” European Review 11. 2(May 2003): 183-191. 18. “Reconstructing Ibsen as an Artist: A Theoretical Reflection on the Reception of Ibsen in China”, Ibsen Studies Vol. III, No. 1(2003):71-85. 20. “Identity Seeking and Constructing Chinese Critical Discourse in the Age of Globalization”, Canadian Review of Comparative Literature, 30.3-4(2003): 526-541. 21. “Comparative Literature and Globalism: A Chinese Cultural and Literary Strategy”, Comparative Literature Studies, 41.4 (2004): 584-602. 22. “Translating Theory: Toward a (Re)Construction of Chinese Critical Discourse”, ARIEL, 34.2/3(2003): 95-113. 23. “Canon Formation, or Literary Revisionism: The Formation of Modern Chinese Literary Canon”, Neohelicon, XXXI(2004)2: 161-174. 24. “The Ends of Theory: The Beijing Symposium on Critical Inquiry”, co-authored with W.J.T.Mitchell. Critical Inquiry, Vol. 31. No. 2 (Winter 2005): 265－270. 25. “Translating Journals into Chinese: toward a Theoretical (Re)Construction of Chinese Critical Discourse”, New Literary History, 36. 4 (2005): 649-659. 26. “Death of a Discipline”? Toward a Global/Local Orientation of Comparative Literature in China”, Neohelicon, XXXIII (2006)2: 149-163. 27. “Translatology, Criticism and Culture”, Perspectives: Studies in Translatology, 14.2 (2006): 107-113. 28. “Introductory Remarks”, Neohelicon, XXXIV (2007)2: 9-11. 29. “Toward ‘Glocalized’ Orientations: Current Literary and Cultural Studies in China”, Neohelicon, XXXIV (2007)2: 35-48. 30. “Rethinking Modern Chinese Literature in a Global Context”, Modern Language Quarterly, Vol. 69, No. 1(2008): 1-11. 31. “Review on Embodied Modernities: Corporeality, Representation, and Chinese Cultures”, Comparative Literature Studies, Vol. 45, No. 1 (2008): 120-122. 32. “Introduction: From Linguistic Semiotics to Cultural Semiotics: Semiotic and Narrative Studies in China”, Semiotica, 170-1/4 (2008): 139-151. 33. “Introductory Remarks”, Neohelicon, XXXVI (2009)2: 285-287. 34. “Toward a Literary Environmental Ethics: A Reflection on Ecocriticism,” Neohelicon, XXXVI (2009)2: 289-298. 35. “An ‘Iconological Turn’ in Literary and Cultural Studies and the Reconstruction of Visual Culture”, Semiotica, 176-1/4(2009): 29-46. 36. “Diasporic Writing and the Reconstruction of Chinese National and Cultural Identity or Identities in a Global Postcolonial Context”, ARIEL, Vol. 40, No. 1(2009): 107-123. 37. “Ralph Cohen, New Literary History, and Literary Studies in China,” New Literary History, Vol. 40, No. 4 (2009): 739-749. 38. “Global English(es) and Global Chinese(s): Toward Rewriting a New Literary History in Chinese,” Journal of Contemporary China, 19(63)(2010), 159-174. 39. “World Literature and the Dynamic Function of Translation”, Modern Language Quarterly, Vol. 71, No. 1(2010): 1-14. 40. “Reconstructing (Neo)Confucianism in ‘Glocal’ Postmodern Culture Context,” Journal of Chinese Philosophy, Vol. 37, No. 1(2010): 48-62. 41. “Rethinking Modern Chinese Fiction in a Global Context,” Neohelicon, Vol. XXXVII, No. 2(2010): 319-327. 42 “What Is World Literature?” ARIEL, Vol. 42, No. 1(2011): 171-190. 43. “Introductory Remarks”, Neohelicon, XXXVIII (2011)2: 245-247. 44. “‘Weltliteratur’: from a Utopian Imagination to Diversified Forms of World Literatures”, Neohelicon, XXXVIII (2011)2: 295-306. 45. “(Re)Considering Chinese American Literature: Toward Rewriting Literary History in a Global Age,” Amerasia Journal, 38.2(2012): XV-XXII. 46. “Chinese Literary and Cultural Trends in a Postrevolutionary Era,” Comparative Literature Studies, Vol. 49, No. 4(2012): 505-520. 47 “Translating Modernity and Reconstructing World Literature,” Minnesota Review, Vol. 2012, No. 79 (Autumn 2012): 101-112. 48. “Multiplied Modernities and Modernisms?” Literature Compass, 9/9 (2012): 617-622. 49. “Ibsen Metamorphosed: Textual Re-appropriations in the Chinese Context”, Neohelicon, XXXX (2013)1:145-156. 51. “Introduction: Historicizing Postmodernist Fiction”, Narrative, Vol. 21, No. 3(2013): 293-300. 52. “A Reflection on Postmodernist Fiction in China: Avant-Garde Narrative Experimentation,” Narrative, Vol. 21, No. 3(2013): 326-338. 53. “Reading Theory Now: An ABC of Good Reading with J.Hillis Miller,” Comparative Literature Studies, Vol. 50, No.4 (2013): 687-691. 54. “On World Literatures, Comparative Literature, and (Comparative) Cultural Studies”, CLCWeb: Comparative Literature and Culture 15.5 (December 2013): Article 4. 55 “Variation Theory and Comparative Literature: A Book Review Article about Cao’s Works,” CLCWeb: Comparative Literature and Culture 15.6 (December 2013): Article 18. 56 “Earl Miner: Comparative Poetics and the Construction of World Poetics,” Neohelicon, XXXXI (2014)2: 415-426. 57. “Global in the Local: Ecocriticism in China,” Interdisciplinary Studies in Literature and Environment 21.4(2014), pp. 739-748. 58. “Introduction,” European Review, 23. 2(2015); 173-179. 59. “Highlighting the Humanistic Spirit in the Age of Globalization: Humanistic Education in China,” European Review, 23. 2(2015): 273-285. 60. “Introduction: Global Maoism and Cultural Revolutions in the Global Context,” Comparative Literature Studies, 52. 1(2015): 1-11. 61. “Globalisation as Glocalisation in China: A New Perspective,” Third World Quarterly, Vol. 36, No. 11(2015), 2059–2074. 62. “Globalization, Humanities and Social Sciences: An Introduction and a Commentary,” European Review, 24. 2(2016): 177-185.